Verb Ballets announces the promotion of Richard Dickinson, MFA to Associate Artistic Director. Dickinson has been with the company for over eight years in different capacities. In addition to his professional work, Dickinson had an extensive dance career including principal and soloist roles at Ohio Ballet, Boston Ballet, Chicago Ballet, Honolulu City Ballet and various regional companies. 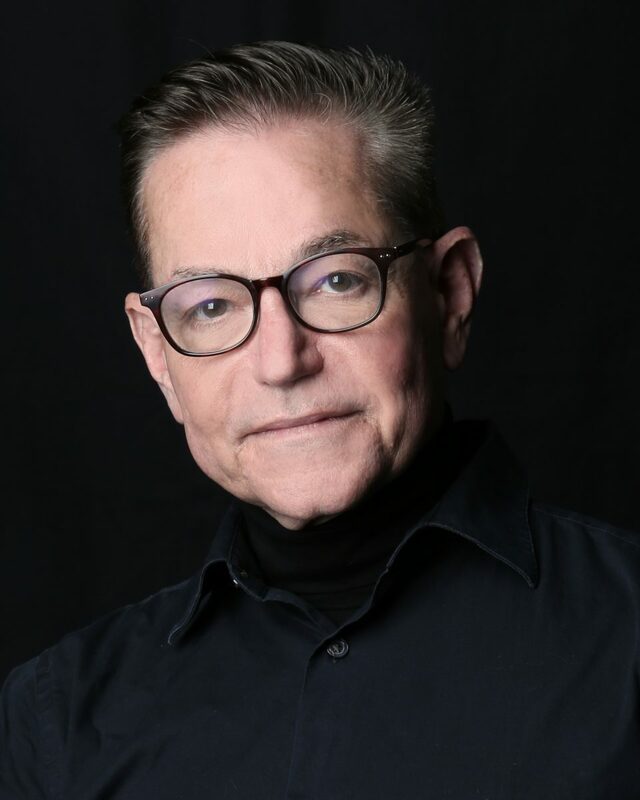 Previously, he served as Artistic Associate for Hubbard Street Dance Chicago and the Artistic Director of Ballet Western Reserve, Great Lakes Festival Ballet, Chamber Dance Theatre. He has also directed Boston Ballet II and has a Master of Fine Arts degree in Contemporary Dance from Case Western Reserve University. What road led you to your current position? I feel like my whole dancing life has led to this moment. I am a constant learner, a curious person who wants to experience everything. I am always striving to know what is current, with an eye to the past. I believe that in order to be a dancer/artist you need to know, of course, dance and performance technique, but also theater, literature, art history, opera and yourself. All of this experience I bring to the table in my new position at Verb Ballets. You have had a long career dancing. How has that shaped the way you work in the studio? 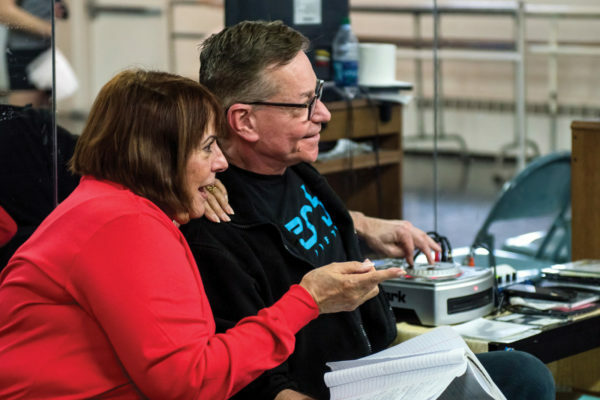 I have had the good fortune to work with some of the most amazing artists of our lifetime: Baryshnikov, Nureyev, Violette Verdy, Bruce Marks, Mark Morris, Lar Lubovitch, Yoko Morishita, David Howard, Heinz Poll, on and on. It gives me a very wide canvas to draw on, different styles of dance technique, including variations on ballet training from the Russian, English, and French schools, as well as, modern techniques based on Graham, Taylor and even Mark Morris. And of course, there is the always developing new style of “American” technique. All of this feeds the “melting pot” of my experience that allows me to direct the rehearsals of Verb Ballets. One of my guiding principles was given to me by Lou Conte, former artistic director of Hubbard Street Dance Chicago, he said, and I am paraphrasing, “When the dancers go onstage you will not be in the wings yelling at them, what you give them in rehearsal has to stay with them, and become part of them, so when they perform, it is theirs, not yours.” Good advice, I say to myself daily. In your new role you will play the key part in the development of the community class program? What is your vision about dance education and outreach? People acquire a love for what they enjoy later in life at adolescence. Basically, we learn the rules that govern our future path…like, baseball, or basketball, we learn the rules of the game and how to play. The same is true for the arts, we begin to understand what the ideas behind dance, painting, singing, etc. are when we are young, so they can develop as we grow up. Childhood is the time to plant the seeds for further growth. The mighty oak was once just a seed, the same is true for art appreciation and development. Plant the seed. Skill and confidence come from doing, knowing and watering (feeding the seed). I love to “coach” a role. Meaning, bringing a ballet to a larger understanding, for the dancers and the audience. This takes time and nurturing, allowing me to impart the treasure chest of knowledge given to me over the years by others to share with the future generation of great dancers. What you are you looking forward to this season? Seeing the new group of dancers gel and become a “company”. They have already started, and I say the same thing every year, “I love these dancers.” Let’s go! In addition to running rehearsals you teach. What does your typical day look like? 7:00am I get up and read the NY Times, answer emails, write to nursing homes or other places to get bookings for The Adverb Project, which I direct. 6:30-8:00pm End of day go home, make dinner then watch The Food Network to decompress. Head to bed to sleep and get up do it all over again. When you are not in the studio what do you like to do? I like to cook, it is therapeutic, I am teaching myself how to bake, not so therapeutic. Take walks, go to Cleveland Museum of Art, gardening, jigsaw puzzles, (problem solving 101) is a hidden stress reliever. I have a lot of books I am reading, or have read, lately. One of my students, Pauline A. Chen, wrote; “The Red Chamber”, I loved it, everyone should read it. Before going to Cuba last season I read, “Lost and Found in Cuba” by Jeanne Parr Lemkau. I am currently reading Ruth Reichl’s book “Garlic and Sapphires, The Secret Life of a Critic in Disguise”, Helen Macdonald’s “H is for Hawk”, Yasunari Kawabata’s “Thousand Cranes” and Julian Barnes’s “The Noise of Time”. A former dancer with Ohio Ballet Dickinson’s association with that company began in 1988. He later became ballet master and director of company touring. Dickinson was also a soloist with Boston Ballet for eight years. At age fifteen, he joined the Pasadena Dance Theatre and was awarded a National Endowment for the Arts Emerging Choreographer Award for a work premiered by the same company. He performed in the PBS television production of “Frankie and Johnny” with the Chicago Ballet. and danced principal roles in Asian, European and American tours with Rudolf Nureyev and the Boston Ballet. In addition to his professional work, Dickinson had an extensive dance career including principal and soloist roles at Chicago Ballet, Honolulu City Ballet and various regional companies. Previously, he served as Artistic Associate for Hubbard Street Dance Chicago and the Artistic Director of Ballet Western Reserve, Great Lakes Festival Ballet, Chamber Dance Theatre. He has also directed Boston Ballet II and has a Master of Fine Arts degree in Contemporary Dance from Case Western Reserve University.